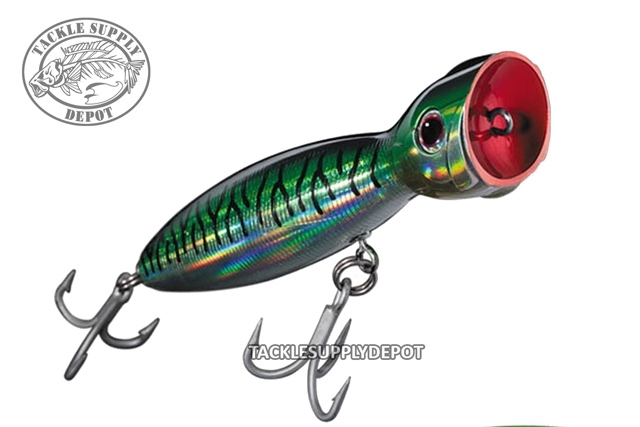 The Daiwa Mebachi Popper is a dynamic new lure that kicks up a ruckus and draws strikes from big gamefish like striped bass and bluefin tuna. When pulled, the fat headed lure has a Big Splash Action. Built to handle the largest gamefish, the quality manufactured lure is thru-wired and rigged with stout Owner Hyperwire split rings and VMC 8527 hooks. Crafted in a Floating and Sinking model the popper can be utilized using several different techniques and cadences. The sinking model still plugs the surface but is heavier and better suited for wind chop, breeze and longer casts. 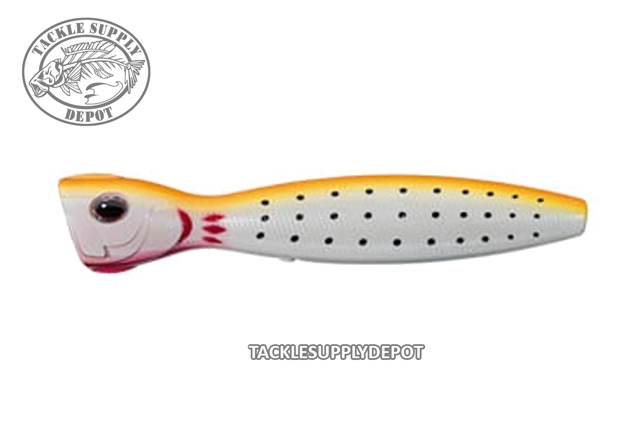 Finished in 8 realistic paint schemes, the handsome baits mimic a wide assortment of forage fish. If taking big gamefish on topwater poppers is your technique then you owe yourself a look at the ME-BA-CHI(Big Eye) line of rugged all-around poppers, lures built for the toughest fight.